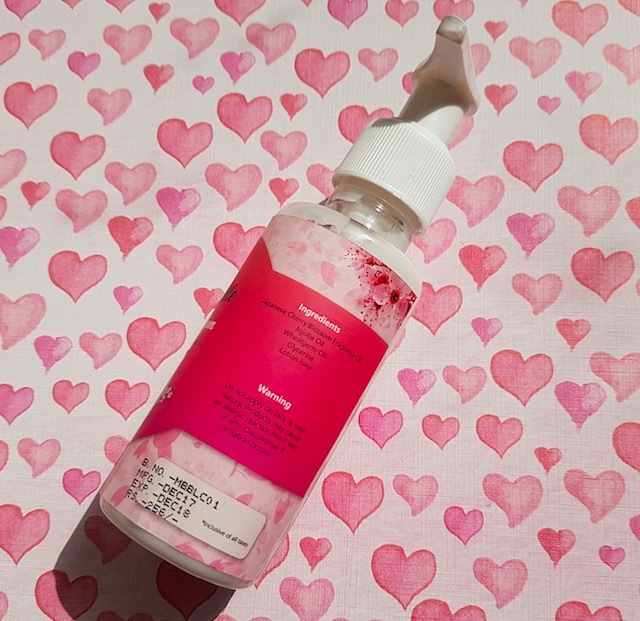 Hello everyone, today I’m reviewing the Mirah Belle Cherry Blossom body lotion that I received 2-3 months back. It happens very rarely that I like products send by the brands (PR samples) but I really liked the Mirah Belle products especially their rose lip balm. I’m almost done with the lip balm and considering buying a new one very soon. You can check the review of the Mirah Belle Rose lip balm HERE. Packaging: The body lotion comes in a 100ml plastic bottle that comes with a pump dispenser. The bottle is compact and has an open-close mechanism at the pump to prevent the spillage. The basic product information is also mentioned on the bottle. 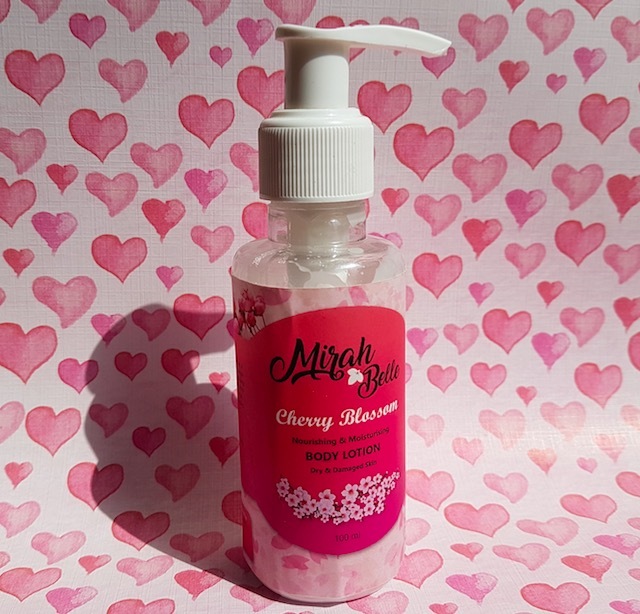 Price & Availability: The cost of the Mirah Belle Cherry Blossom body lotion is Rs.250 for 100ml. You can buy it online from Flipkart, Nykaa, Snapdeal and Mirah Belle’s official website here. 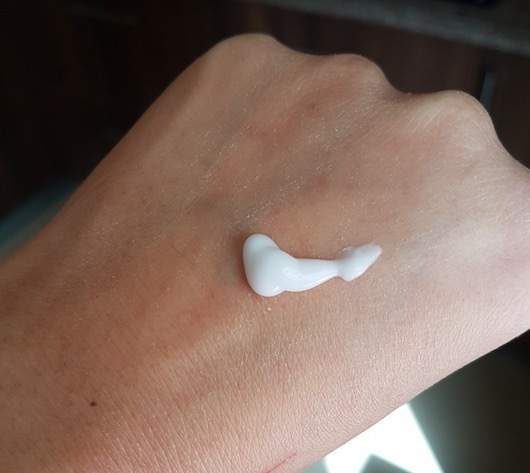 My Experience: The body lotion comes in white colour and has a perfect creamy consistency with a light scent. It spreads easily and absorbs completely leaving the skin moisturized and supple. It has a non-sticky formula that doesn’t stain clothes nor feels heavy on the skin. My body skin became dry from the past few years and I regularly use moisturizer to keep my skin moisturized and itch-free. I liked this body lotion but I don’t use it on my body, as the quantity is less (100ml only). 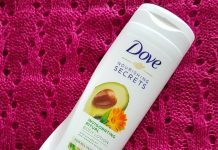 I prefer using this body lotion as a hand and feet moisturizer and it works really well. 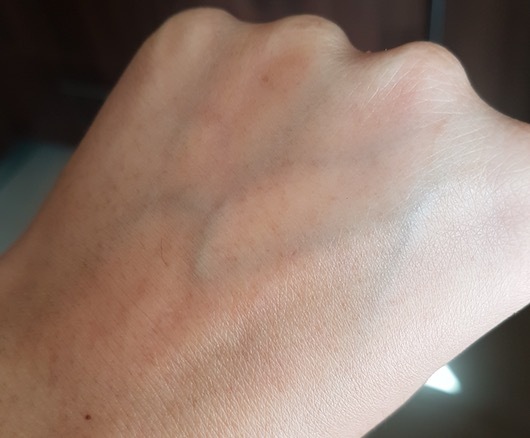 After becoming a mom, I’ve to wash my hand many times a day and this leads to the dull and rough skin. So I keep this lotion in my sight to use it after every hand wash. It instantly hydrates dry and rough skin and keeps skin moisturized for a good amount of time. 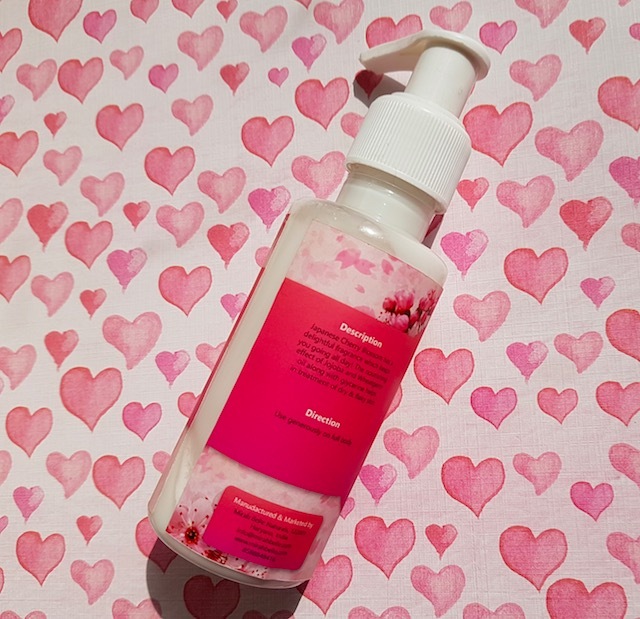 A non-sticky lotion that moisturizes well leaving the skin soft, supple and hydrated. It is infused with extracts of Japanese cherry blossom. It has no SPF that makes it not very appropriate for the summer. Not widely available at local stores (you can buy it online). The bottle with pump is not very travel-friendly. 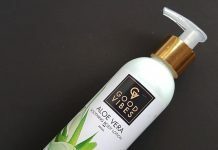 Overall, it is a good body lotion that moisturizes the skin well. It helps heal dry and rough skin with regular usage. 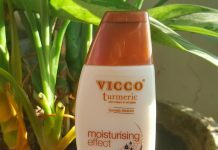 If you are looking for a body lotion that is hydrating, chemical free and has a pleasant scent, then you should consider buying it.